​Health and Wellness starts with you. Your body, your mind. It's more than a diet and exercise. Wellness is enhanced by lifestyle change. Health Coaching is about transformation and encouragement. 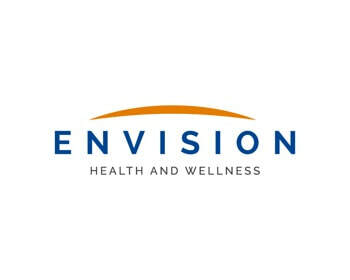 Learn about Envision Health and Wellness and our six month wellness and health coaching program, starting at just $150/month. You may be asking, what exactly is an Integrated Nutrition Health Coach? An Integrated Nutrition Health coach is a guide and supportive mentor who empowers clients to take responsibility for their health and achievement of their personal wellness. ​Continue reading for common questions and answers about what an Integrative Nutrition Health Coach can do for you, or head to Envision Health and Wellness for more information on a nutrition consultation and plan that works for you! Q How did Allyn become an Integrative Nutrition Health Coach? A After several years of studying health and diets he embarked on a yearlong coarse at the Institute of Integrative Nutrition out of New York State. This course is accredited by the New York State Board of Education. Q What are some of the theories of Integrative Nutrition? It involves the study and integration of all diet theories. Health is based on the individual, not a diet theory. Bad food choices are “crowded out” with good food choices. Given half a chance the body will heal itself. Deconstructing cravings can be achieved by anyone. The exact same diet and lifestyle recommendations will help everyone get well no matter what the disease. Q What are Integrative Nutrition’s core concepts? Bio-individuality; No one diet, or lifestyle works for everyone. What’s one person’s food may be another person’s poison. Primary food; Your primary food which includes career, relationships, exercise, spirituality, and other lifestyle factors play an equal or greater role in achieving your overall health and wellness. Heal yourself by yourself; Your body is designed to heal and protect you from harm. Given half the chance the body will heal itself. Fitting out; We all have heard about fitting in. At IIN we want you to fit out. Fitting out is being yourself, what is unique about you. Food changes everything; Food affects your whole being, from your blood to your DNA, you are what you eat. Health is not a destination, it’s a journey. Q Where does a Health Coach fit in with our current Health Care System? A Our country and the world are undergoing a health crisis of immense proportions. One in two people get cancer, heart disease kills millions of people a year, more people are affected by the dreaded Alzheimer’s, type two diabetes is affecting children as well as adults in increasing numbers and obesity affects almost 60% of our population as compared with 16% forty years ago. Our health care system is amazing at fixing broken legs, arms, backs, as well as replacing joints, hearts, kidneys and doing intricate brain surgeries to name a few. But our Health Care System can only prolong the major diseases and illnesses that are far more apt to kill us. The diseases mentioned are mostly preventable. An Integrated Nutrition Health Coach fills in where the doctors, nurses, nutritionists, and dieticians leave off. Hospitals are too busy to mentor patients on nutrition and lifestyle, the most important ways to stay healthy. The advice doctors gave years ago “take two aspirins and call me in the morning” are long gone. Q I don’t want to be one of the statistics falling to the top ten killers, what should I do? A First and foremost, don’t rely on the Government for answers. They subsidize most of the bad foods that we are eating today like GMO corn and soy products. Remember, the government had information back in the late 50’s that cigarettes were hazardous to our health and it took them twenty-five years to make their first move on the industry to label cigarettes and tobacco products with the Surgeon General’s warning. Not a good track record. Also, don’t look to the food companies. (most of the big companies are owned by the tobacco industry) They promote convenience to the public in the form of processed foods high in refined sugars, refined flours, bad fats, sodium and lots and chemicals. Every time there is a food fad like low fat, gluten free, fortified, all natural, they put it on their labels to get more sales. Generally, it’s all hype. Here’s where the role of an Integrated Nutrition Health Coach comes in. Allyn has the background and knowledge of what’s good for a person’s health and can tailor a program based on the individual’s needs. Everyone is different. Q I’m interested in improving my health and well-being, what is the next step? A Starting in November of 2018 Allyn has been leading free health history screenings for those interested. There is a short form that needs to be filled out and he can conduct the session via phone, skype, or in person. There is a limit to clients he can take. If you are interested in a free health history screening use the contact form on this website. Q Is it expensive to have an Integrated Nutrition Health Coach? A No, and there are several programs that are available, ranging in price. If you consider the alternative of having a poor diet and an unfulfilling lifestyle, the cost is minimal. You could pay for a six-month session by eliminating sugary beverages and junk food in your diet. 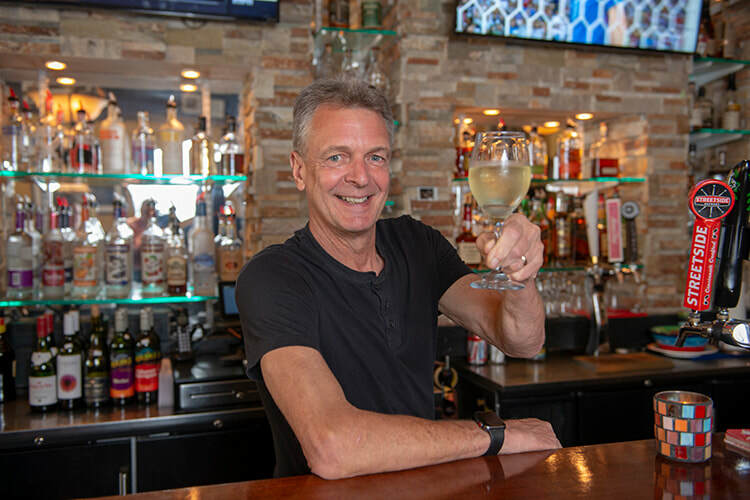 Q Has Allyn’s interest in nutrition changed the way he does business at the restaurant? A Absolutely. At Allyn’s they cook whole foods and keep processed foods to a minimum. They make their own salad dressings, sauces, soups, chili, and gumbo. He reads labels on any canned or processed foods. He also developed some tasty vegan options including, vegan Mardi Gras Pasta, chili, black bean burger, jambalaya, chili dog, jackfruit BBQ, a wonderful black bean and rice salad with ranch chipotle dressing and Sunday Brunch. With their new “Retro” menu Allyn also features cage free chicken and Wagyu beef only. Just like health is not a destination, it’s a journey, Allyn’s strives to constantly evolve for their customers pleasure and well-being.